District 211 Superintendent of Schools Nancy Robb and SHS Assistant Principal Shayne Bullen serve breakfast to students on Oct. 9. 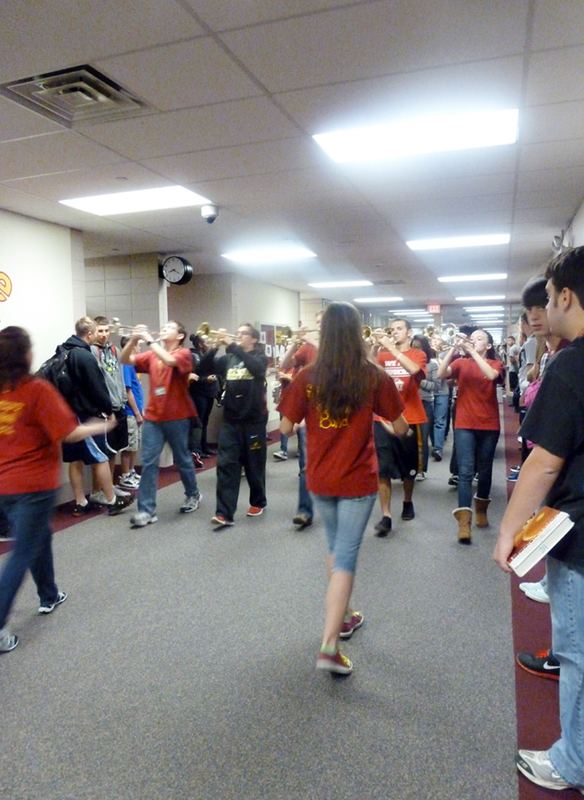 The marching band performed during passing period before the initiative was announced. 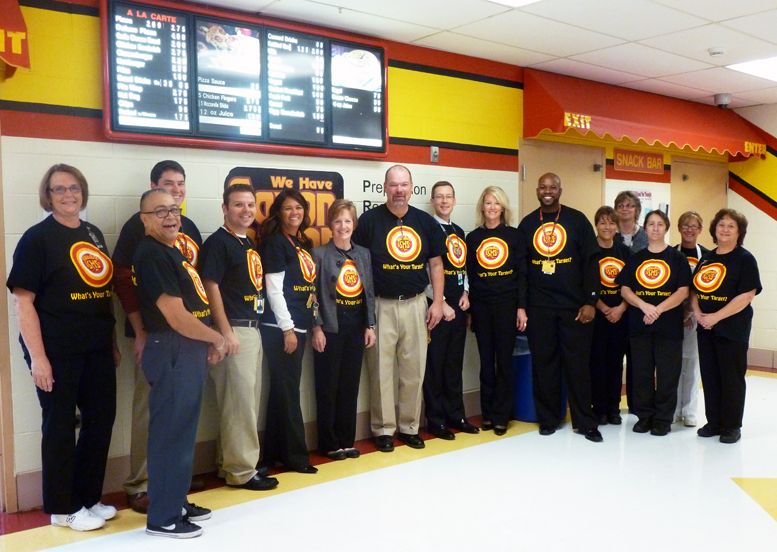 Administrators, all wearing t-shirts with the initiative’s logo on it, served breakfast for the students to show that reaching one’s target starts with a healthy breakfast. From there, the marching band, led by the initiative’s mascot Target Tom and Siegie the Saxon, performed during a passing period. The launch was announced by Principal Tim Little before students watched a video promoting SHS’ new goals. District 211 administrators join administrators from Schaumburg High School to serve breakfast to the students to kick off launch day. 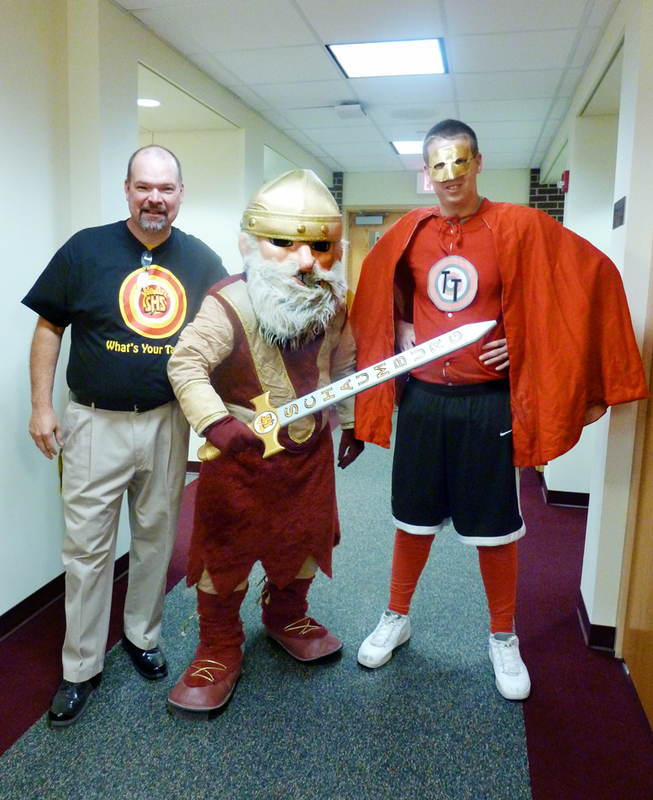 Principal Tim Little with Siegie the Saxon and Target Tom. The purpose of this campaign is to create an awareness of the importance of the measure of growth on the assessment series known as EPAS (American College Testing’s Educational Planning and Assessment System). This integrated series of assessments and reporting services supports educators as they help students set and reach goals for life after high school. Watch the video shown to kick off the new initiative below or read the full article here.